In our new series of interviews, Successful Mums founder Jane Knight talks to a number of women about what personal success means to them and how they combine work and family to achieve it. 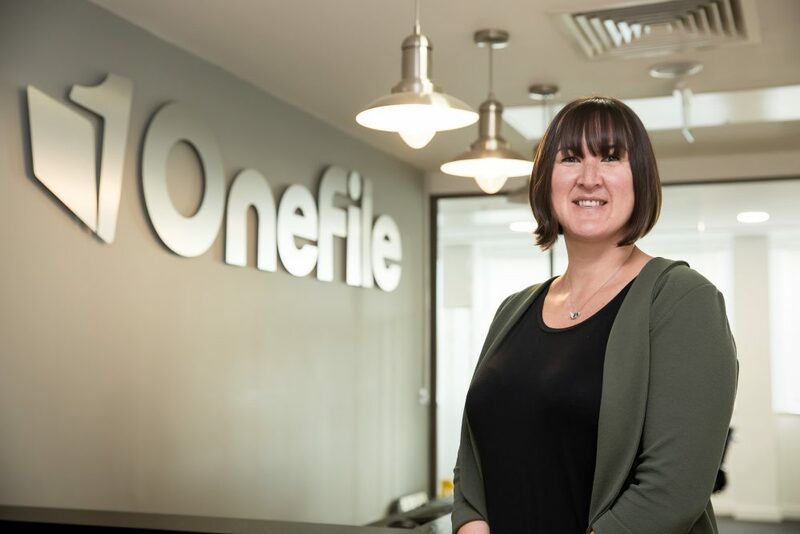 Mum of two, an ambassador for women returners and winner of the 2017 Queen’s Award for innovation, Susanna Lawson is Co-founder of OneFile employing over 85 staff. This juggling mum, early adopter and forward thinker tells me what personal success means to her…. JK You have two kids and run an award-winning business, so what does a typical day look like to you? SL If I am in the office I wake about 5:45am – checking emails and social media until the kids get up at 630. Jump in the shower, get the kids ready, shout get your shoes on, where’s your book bag a million times and hopefully leave the house about 730 to drop the kids after before school club. Get the tram into Manchester, more emails. I am normally in the office by about 8:15- I try and make the most of being in catching up with the senior management team and spending the time going around the office and talking to the team. I am currently training for a 4.5km swim in a lake in Wales in June so also squeezing in a 3 x 60-90min swims a week in the morning too! I try and leave about 430. Logistically juggle after-school activities. Our children are 5 and 8 so settle relatively early by about 8pm. Then have dinner and try and relax with a box set or catch up with my guilty pleasure Corrie or Eastenders. I try and be in bed by 10 and asleep by 11. I am often out of the office 2 or 3 days a week at meetings/conferences which then means earlier starts or later finishes. JK In what ways has becoming a mum had a positive impact on your approach to your work life/business? SL Having children has made me reflect on my work life balance. Most days I will ensure I am back to put the kids to bed but it is not always possible and I don’t beat myself up about it. Before I would have before worked all evening but I do not try and make time to relax too. It has really made me appreciate what the word tired actually means! JK What does personal success mean to you? SL To be happy. Running my business makes me happy and my family make me happy. Neither 100% of the time but overall! JK What one piece of professional advice would you give other working mums/mums in business? SL Build your network of other mums that will help you out. I am very fortunate that if I am away I have a number of other mums that can take my kids to their activities. But then I make sure when I am around I return the favour to for them. JK Do you have any funny stories to share about the realities of being a working parent? SL Background to this story is when I find a pair of shoes I like I often buy 2 pairs! One time I was so busy packing for the kids to go to the inlaws for the night and what they would need – when I packed my own stuff I ended up packing 2 left feet! I had to have a night out with 2 left shoes on!! JK What one thing for yourself do you always make time for? SL Going out with friends. My friends mean a lot to me and I will always try and make time to ensure we can go out and catch up. JK If you were invited on Desert Island Discs, what would your top music choice, book and luxury be? SL Top music would be Foo Fighters – I love a bit of rock and Dave Grohl! JK Is there anything you’d consign to the ocean and why? SL Mr Men book Mr Worry. I actually threw it in the bin. What kind of lesson was that teaching?? Mr Worry worried about everything, he was taught a way not to worry and then he worried about not worrying! Big thank you to Susanna for her time. Susanna and Jane will be running women returner equality and diversity training to employers later in the year. Find out more about OneFile here.